Size: approx. 25 mm. Photo: 05/07/16, 6 pm. 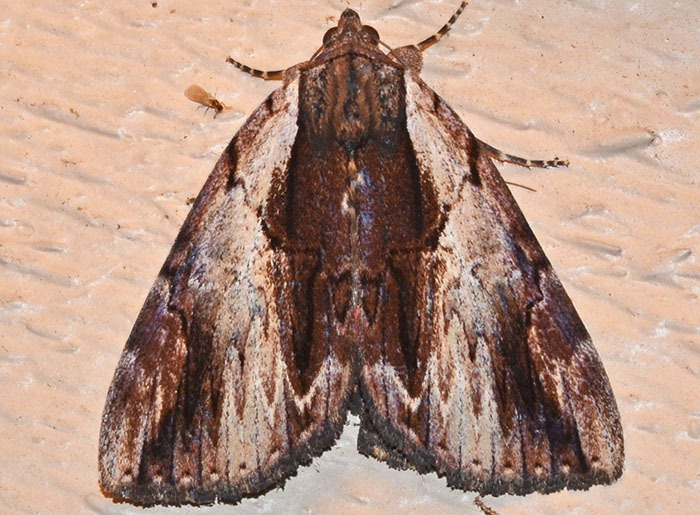 My wife found this beautiful moth in our laundry room where it was hiding unsuccessfully on a white cabinet. Its larvae feed on leaves of oak and the species can be found throughout the Eastern half of the US. Its colors vary strongly and names for different "forms" have been suggested. Catocala ultronia - Hodges#8857 (Ultronia Underwing). 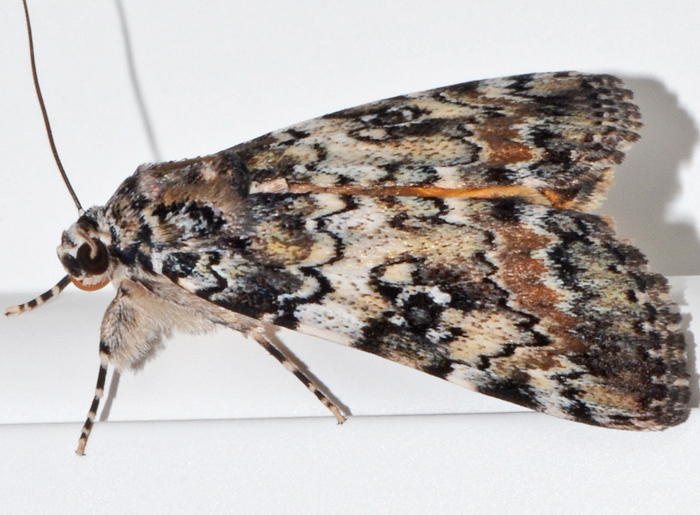 Unfortunately, I didn't see the rather beautiful red and black band pattern on the hindwings of this moth. The appearance of the forewings is quite variable and involves brown, gray, and black colors. The wing span is about two inch. Ultronia Underwing feeds on Rosaceae including cherries and hawthorns.